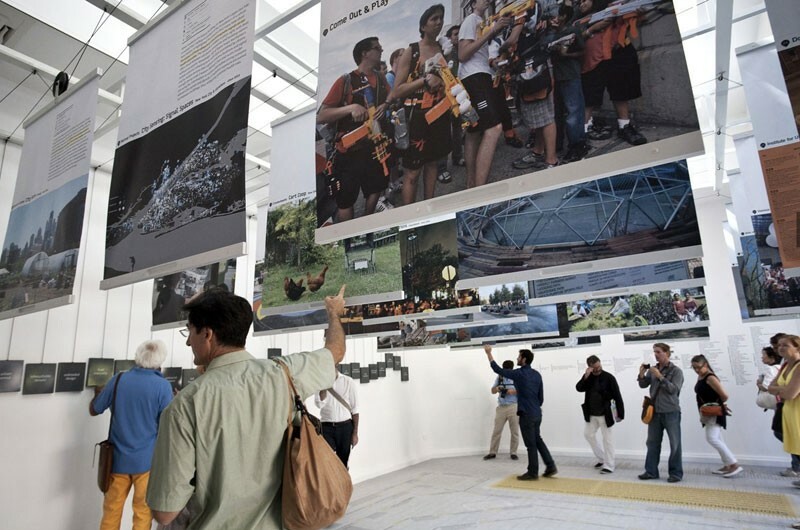 Architect Marcos Zotes participates in the 13th International Architecture Exhibition la Biennale di Venezia, where his project “CCTV / Creative Control” is presented in the U.S. Pavilion as part of “Spontaneous Interventions: Design Actions for the Common Good”, from August 29th to November 25th in Venice, Italy. 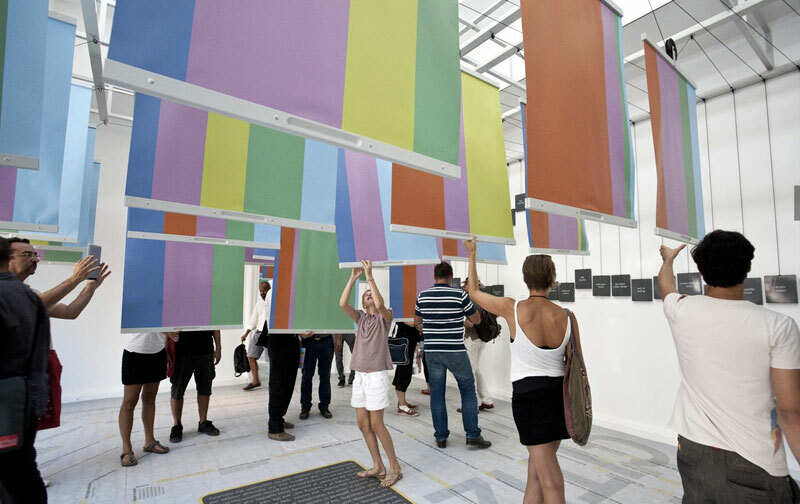 "Spontaneous Interventions: Design Actions for the Common Good celebrates those who act, who take the initiative to transform problematic urban situations into new opportunities or amenities to be shared by the public, without waiting for clients or permission, and in some cases, risking fines or arrest. Rolling up one’s sleeves, personally bankrolling or finding creative sources of funding, using every tool at hand to network and form tribes, mobilizing for the sake of shared passions, and simply making things happen—these are the modi operandi of a new class of citizen activists who are changing the shape of cities." 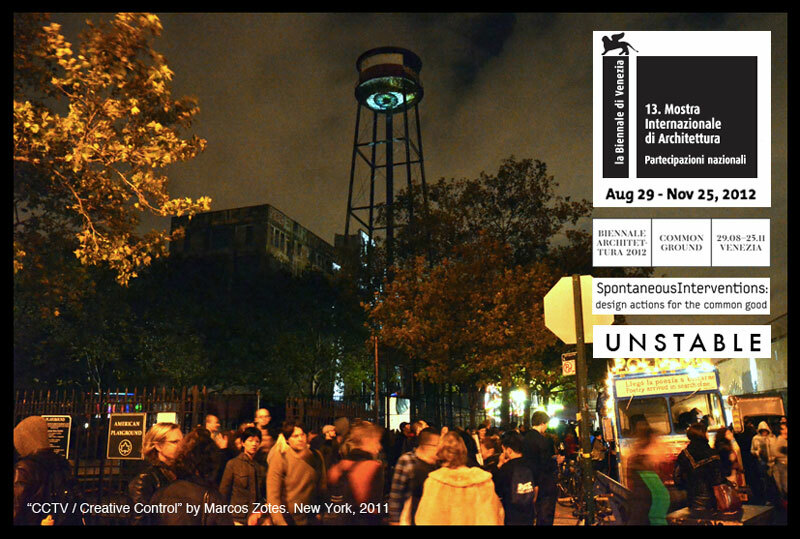 The project “CCTV / Creative Control”, (New York, 2011) of Marcos Zotes, seeks to question the oppressive mechanisms and discourses implemented in the city through the temporary appropriation of public space. The intervention consists of a video projection displaying an over-sized eye onto the lower surface of the 10-storey-high Milton Street water tower in Brooklyn, New York. Still the highest point in the area, until it is dwarfed by new gentrification plans, the water tower exists as a relic of the neighborhood’s industrial past. The intervention temporarily transforms this iconic landmark into a discernible CCTV tower, raising questions of private control over public space in the urban context. Dates: August 29th to November 25th, 2012. Venue: Ca' Giustinian, San Marco 1364/A, 30124 Venice, Italy.